Google's Assistant and Assistant-powered hardware are a huge convenience, but the limited markets and languages for both have been anything but convenient for many. While Google has been slowly rolling out new countries for Home hardware and more languages for the Assistant over the last year or so, it looks like the company is gearing up to expand its footprint significantly. In a leaked slide from a presentation at the DNI (Digital News Initiative) summit in Amsterdam, Google revealed a literal map of its upcoming plans. The image comes courtesy of Elger van der Wel who tweeted it out from the event just earlier today. The resolution leaves a bit to be desired, but it looks like Google is planning on supporting a total of 52 countries at some point in 2018, with 25 total languages. If the slide is to be believed, that's an addition of 38 countries and 17 languages. 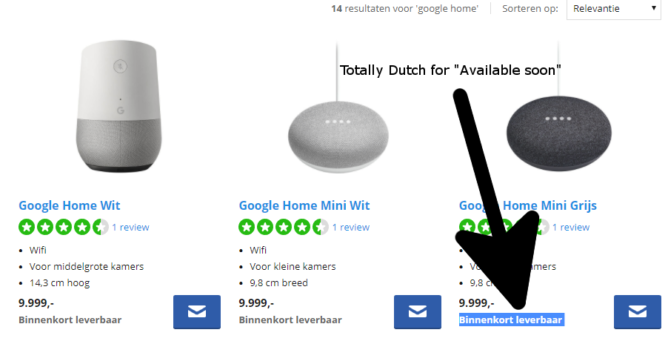 We were also tipped off to some corroborating evidence in the form of a new listing for Home hardware at Dutch retailer Cool Blue, which has recently added listings for the Google Home and Google Home Minis. The Netherlands isn't yet listed as an available country for the products, but it is one of the spots that is filled in on the leaked map. 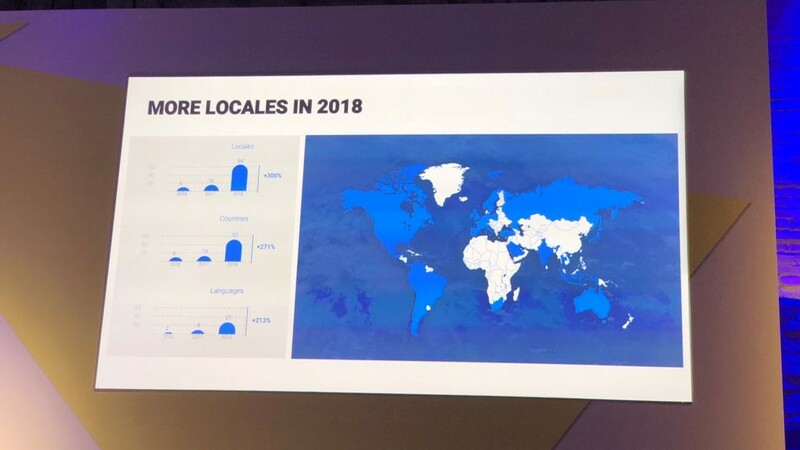 In total, it looks like Google plans on expanding its Assistant to support most of South America and Western Europe, as well as Russia, Saudi Arabia, and a handful of spots in Southeast Asia—though many of these locations already had support at one level or another. This may apply to "locale" support, which is more nebulously defined, so we'll have to see.